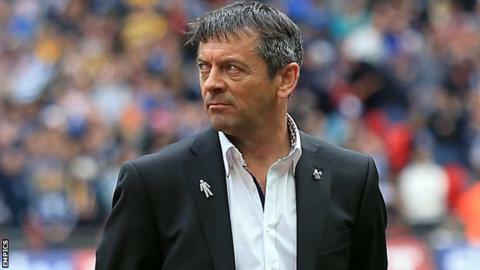 Boss Phil Brown hopes Southend's new players to buy into the "DNA" that got them promoted to League One last term. They have drawn two of their opening three games, but only scored once. "With Sam Allardyce at Bolton a lot of top players came, but Sam said sit on the bench and watch first," said Brown. "Maybe, just maybe those we've brought in, the likes of Noel Hunt, David Mooney, Anthony Wordsworth, Joe Pigott, they just need to sit and watch the work-rate and mentality of the group." He told BBC Essex: "When it's right we're difficult to play against and they're the quality at the other end of the pitch. "We just need everyone's mentality collectively, so our DNA isn't lost with promotion." Brown's side drew 0-0 away at Doncaster on Wednesday, and he wants his side need to be more clinical in front of goal. "You had two teams that were playing a very cagey game in the first half," he said. "We squeezed the living daylights out of them in the second half, I thought the work-rate and mentality was improved from Walsall (2-0 home defeat on Saturday). "Consequently in the final third you're looking for that composure and right decision for an opportunity, and the best chance of the game came to Joe Pigott and he unfortunately missed the target. "(The game) could have gone either way, if truth be told."